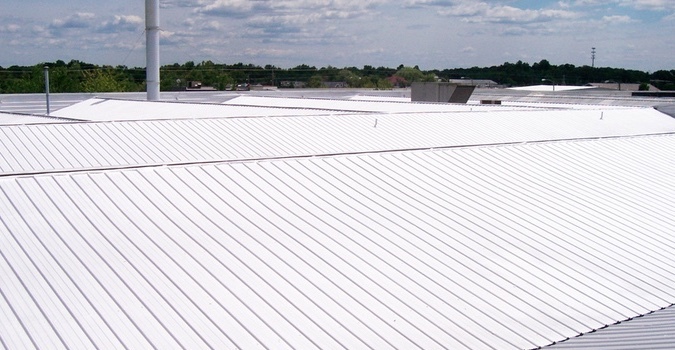 Are you wondering what commercial metal roof replacement has to offer? There are a lot of things you metal roofs offer on the commercial property front. For starters, it is a very dependable ruffing system, which is it is a very popular choice. You should consider installing the 1X3/4” tall panels with seams that click and lock in place if the roof has a 2/12 pitch or higher. The seams, in this case, provide a means of concealing the fasteners, producing a clean smooth look. With regards to the thickness, it ranges from as low as 24 gauges to 18 gauge stainless steel, depending on your needs. If your commercial building has a roof with a 3/12 pitch or less, you should install panels that have mechanical seams with concealed fasteners. This ensures that no moisture penetrates through the fasteners. If the roof has a pitch ranging from 1/12 and 2/12, the roofing system should have inseam sealant to ensure that it is watertight, negating problems from arising. Typically, the panels are crimped and seamed right at the site with special equipment. If the commercial roof has a pitch less than 1/12 and you need the visual aesthetics that come with a metal roof, you can have the flat roof look like a metal roofing system. Generally, you roofing contractor should advise you on the longest lasting systems available and offer you this option. This is especially important if you live in an area with harsh weather conditions such as high winds. Such areas require one to install at least 24 gauge panels. Additionally, you should consider installing narrower panels with extra clips to increase the panels’ resistance to being blown off. As for finishing, there are multiple color options over the galvanized for you to choose from. Panel ribs with widths ranging from 12” to 17”. Dozens of different colors to choose from to match your overall aesthetics. Extensive warranties for color fading. A slightly more expensive but more durable stainless steel with a galvanized steel or fine finish. These options are more economical in the long run. While metal roofs have a higher upfront installation cost than the typical asphalt shingles system, they are also durable and will easily last longer, yielding more bang for your buck. We use the highest quality metal panels. Importantly, we also use the highest replacement process. Our replacement process yields an aesthetically pleasing commercial and durable roof system that will serve your commercial building for many years to come. The Advantages Of Our Process? We use the highest quality inputs. For instance, we use the best quality mechanical seam snap lock panels. Depending on your roof dimensions, we can install one panel from lengthwise from the ridge to the roof’s edge. We are exceptionally affordable. Our pricing is very competitive and we offer our services at a lower price point than many of our competitors in the roofing industry. We pay attention to every detail all-through ensuring that we install the highest quality, scratch free, and clean devices. We have a professional team of roof installers who have specialized in the installation of metal roofs. In fact, other roofing contractors in the industry learn from us on the best way to install metal roofs on commercial buildings. Finally, we are confident that we offer the best value for money in Texas. 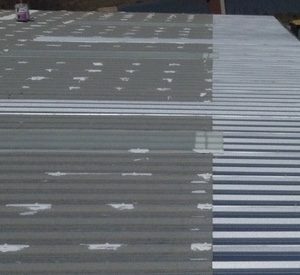 In this section, we will explore metal roofing pricing for both new roof installation and roof replacements. For starters, you need to understand that metal roofing systems are designed for durability. While these roof systems still need regular maintenance, the roofing system can last over 40 years before it needs to be replaced. However, for this high-quality roofing system, the initial capital investments tend to be higher than other options. On average, the initial interment for metal roofing system can range from as low as $4 per sq. ft. to as much as $13 per sq. ft. Obviously, local economic factors in your locality will influence the final cost of installing a metal roof in commercial property. Here is a brief breakdown of the typical costs for a commercial metal roof installation. Corrugated steel panels prices can range from $4 per sq. ft. to about $6 per sq. ft.
Metal shingles cost ranges from $7 per sq. ft. to $9 per sq. ft.
Stone-coated metal system cost ranges from $8 per sq. ft. to $9 per sq. ft. Standing seam metal costs ranges from $7 per sq. ft. to $13 per sq. ft. The above-estimated costs include more than just the cost of the roofing materials. Installing a commercial metal roof might involve removing the old roofing material, removing debris from the site, repairing the substrate (in re-roofing projects), ensuring the ventilation works properly, installing flashing, getting the work permits, and much more. Taurus Elite Commercial Roof Systems, 512-332-4422, is a commercial roofing contractor based in Austin, Texas, and specializing in commercial metal roof repair, commercial metal roof restoration and commercial metal roof services in the Austin Texas area, including Oak Hill, for the last two decades. When you need advice on replacing your commercial metal roof, we’re your resource.